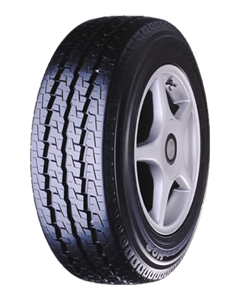 The H08 is a deep-tread, highway rib, commercial tyre available in sizes to fit vans and utilities. The HO8 utilises Toyo's latest technologies to provide high levels of wet traction, long tread life, resistance to shoulder wear and high levels of ride comfort for a commercial tyre. A tyre designed for high-speed stability and excellent traction performance. Its size range covers 80, 75, 70 and 65 series with speed rating of R, S and T. With new 3 main straight rib design and wide tread width, H08 provides excellent handling capabilities on dry or wet conditions.